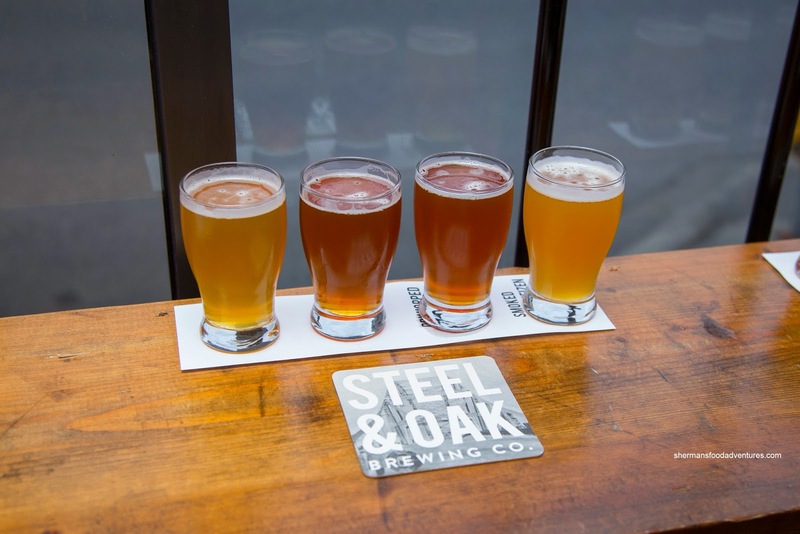 As much as there are quite a few food tours and/or tasting tours available in Vancouver, there are next to none for the 'burbs. Yup, there is as much love for the 'burbs (when it comes to food tours) as there is love for bike lanes in Downtown (unless you ride a bike that is). 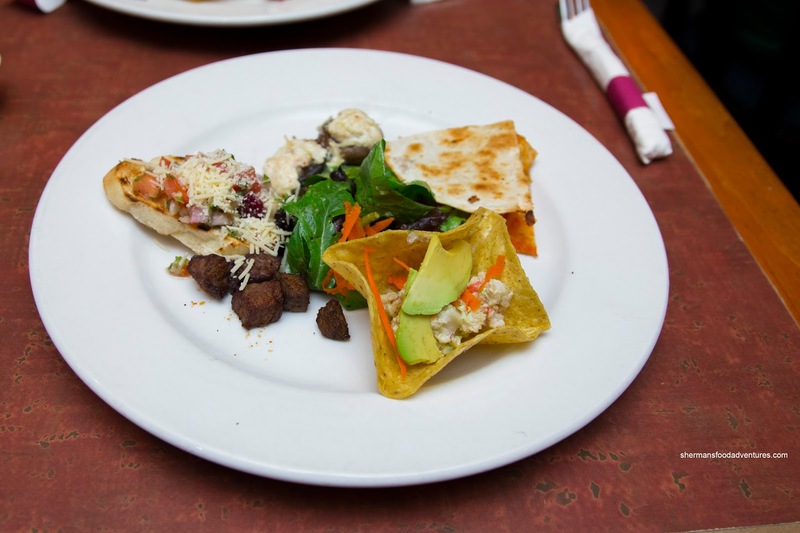 So when Vanfoodster decided to partner up with Tourism New West and offer a Tasting Plates out in the Royal City, I wasn't going to pass it up. For the first time, Roxy (a fine NW resident) joined me on this food adventure. Our first stop happened to be the registration point at the Anvil Centre. 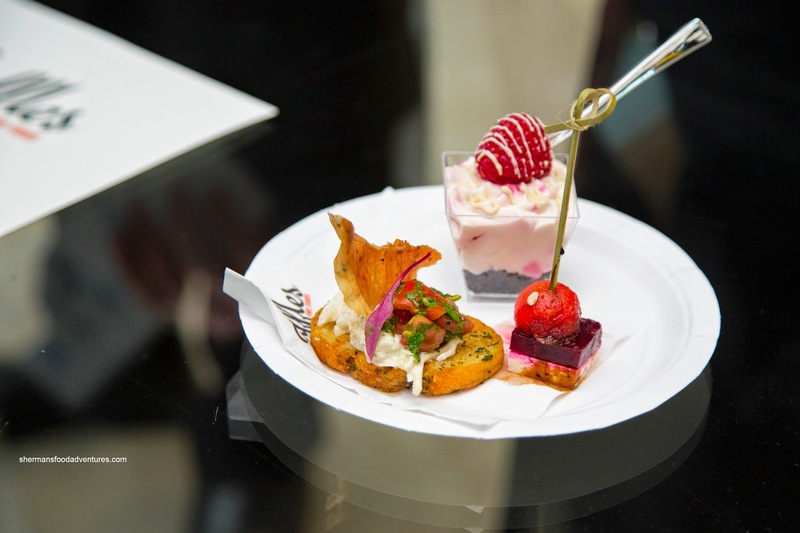 Truffles Fine Foods, which specializes in catered events, set up a station offering at trio of items including Grilled Crostini with celeriac slaw, proscuitto and parsley salad; Watermelon, Beet, Feta and Basil Skewer; and White Chocolate with raspberry and Oreo crumble. The star of this plate was the dessert as the white chocolate was thick and creamy while not overbearingly sweet. The raspberry added a nice fruity tanginess. From here, we traveled to the far reaches of Columbia Street to Fratelli Bakery. 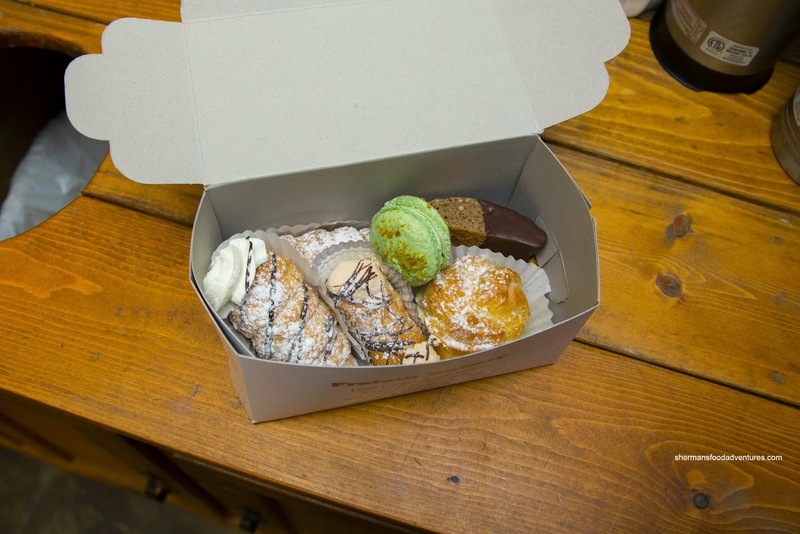 We were presented with a generous box of goodies including Pistachio Macaron, Lemon Whipped Cream Puff, Cannolis and Espresso Almond Biscotti. We ended up taking this home and eating it later. Although a bit rough-looking, the macaron was nicely crisp with a soft chewy interior. The cannolis were lightly crunchy with mildly sweet fillings. I particularly liked the cream puff as it was airy with an impactful lemon cream. Then we headed back down towards Downtown New West over to Heritage Grill. We were served a plate consisting of Bruschetta Bites, Marinated Chicken Quesadilla, Mushroom Neptune, Mini Crab Tostadas and Steak Bites. Although small in size, the steak bites were actually moist and easy to chew. They were also well-seasoned with a touch of pepperiness and just enough salt. As much as I was skeptical of the crab tostada (because it looked pretty plain), I enjoyed it for the crunch of the tortilla and ample amount of crab salad and ripe avocado. After this, we quickly made our way to Steel & Oak Brewing Co. where we were presented with a flight that included Royal City Ale, Red Pilsner, Dry Hopped ESB and Smoked Hefeweizen. Naturally, the 2 middle beers exhibited noticeable hoppiness while my personal favourite was the smoked hefeweizen as it had a refreshing bite that gave way to a subtle smokiness. After the flight, we traveled to Queensborough where we visited Frankie G's. Honestly, if I didn't attend this event, I would've never known that this place existed. 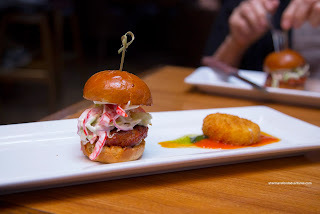 Here, we were served a plate consisting of a Chorizo Slider with green apple slaw and chipotle lime aioli on brioche. Served on the side was Crispy Bocconcini atop pesto and marinara. We enjoyed the slider as the chorizo patty was moist and effectively spicy while the slaw brought it down a notch. Despite being crispy and nicely melted, the crispy bocconcini was not aided by flavourful sauces. 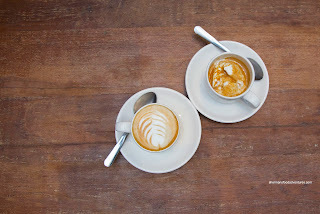 Our last stop was at Old Crow Coffee Co. Roxy had the Macchiato while I had the Affogato. With melting ice cream topped with hot espresso, this was dessert and coffee in the same cup. There was a nice rich espresso hit to go with the sweet and creamy ice cream. Once again, Tasting Plates has introduced me to several places I have wanted to try and to one I've never even heard of.